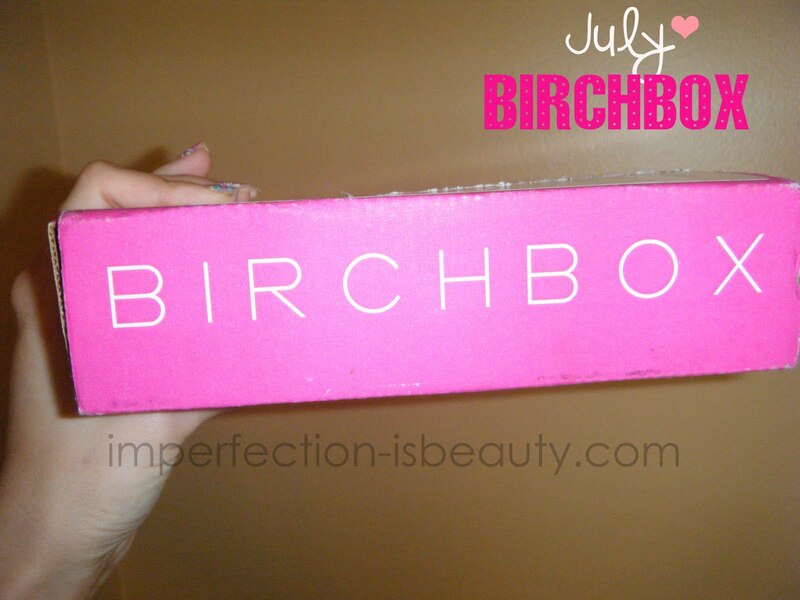 If your not familiar with Birch Box it is a monthly subscription kind of like a magazine that gets sent out at the beginning of every month. It costs $10 a month you have the option to pay monthly or yearly, and you can cancel anytime no charge. 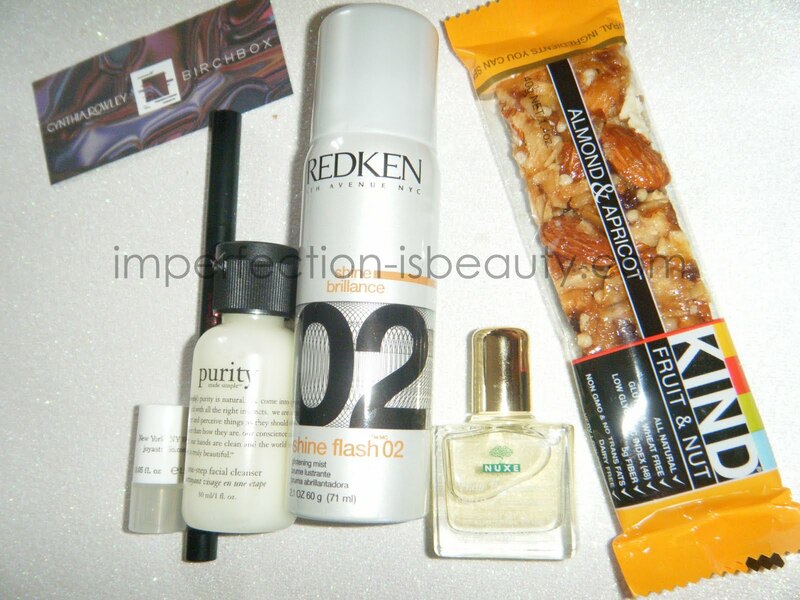 Every month the products are different and range from beauty products, skincare, makeup, hair products you name it. This is a fabulous way to try the products before you buy it. I'm actually pretty excited about it and love this whole concept. 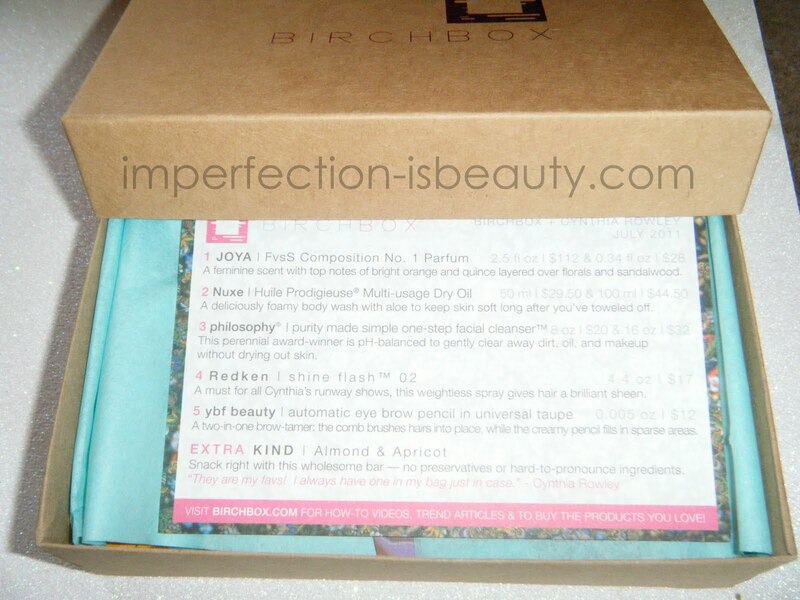 Look how cute the box and packaging is! This month the Birchbox was designed and inspired by fashion designer Cynthia Rowley loaded up with samples of her favorite products, and I can see why these are her favorites. Multi-Usage Dry Oil. This is to be used when you get out of the shower it has a lightly fragranced finish. It’s versatile, too — use it on your body, face, and hair. beauty Automatic Universal Taupe Eyebrow Pencil called "My Best friend" I have used this everyday since I got it and I love it. I didn't think a universal eye pencil would work honestly. It goes on so light and smooth and I love how it has a groom brush on one end and a twist up top so that you don't have to sharpen. AMAZING! Purity made simple. The award-winning, one-step daily facial cleanser removes makeup, cleanses, tones and lightly hydrates the skin. I haven't used this yet so I can't say to much about it but I will definitely be trying this out because I have heard nothing but good things. 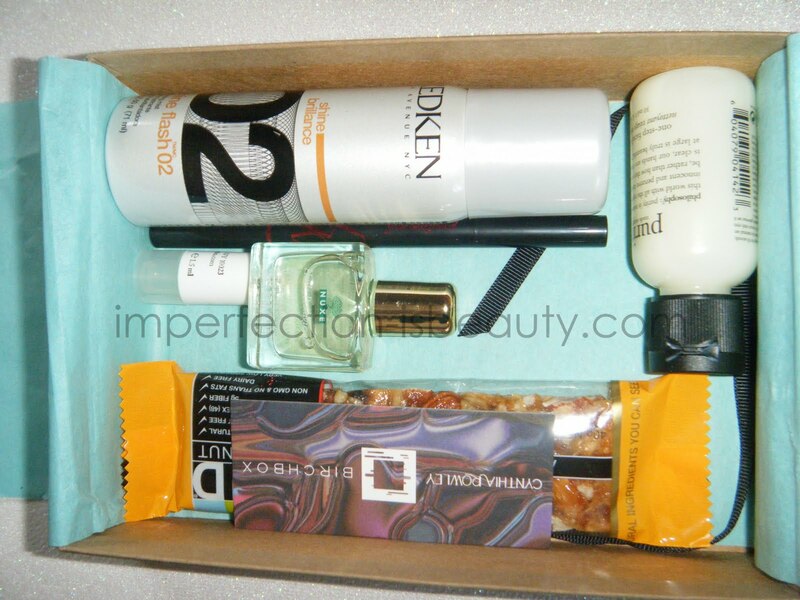 I'm actually really excited this was in my Birchbox. The Redken Shine Flash glistening mist I have used a few times and this is a beauty product must. Who doesn't love shiny beautiful hair this definitely does that. It leaves your hair looking more fabulous then ever. FvsS Composition No. 1 Roll-On Perfume. 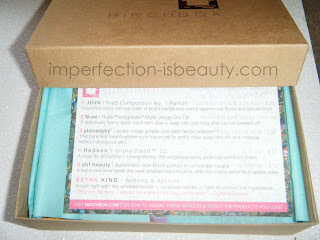 This smells fabulous it has a sweet floral perfume oil,with a lingering sandalwood finish. I love how long the scent lasts and how amazing it smells. Definitely worth the price. 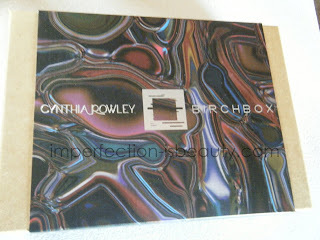 I am going to subscribe to Birchbox now!! Your going to love it!! Nothing compared to last month BB!! That bar tasted like cardboard to me, maybe I NEED to eat healthier lol BTW u totally DO look like a barbie! !